A site investigation undertaken by a remediation contractor in Växjö, Sweden, identified up to 1.4 m of LNAPL on top of the groundwater beneath an industrial unit. The source of the contamination was a boiler in the basement of the facility. It was determined that the contamination posed a vapour risk to the site users. The proposed strategy was therefore to remove the LNAPL, reduce the adsorbed mass and treat the dissolved phase contamination to low levels. This was to be completed within the building, it’s basement and the car park downgradient. In order to efficiently address both the free and dissolved phase petroleum hydrocarbon contamination an integrated in-situ remediation strategy was adopted. A Multi-Phase Extraction (MPE) system was installed across the target area. This was used firstly to extract the easily removable LNAPL observed at the site. Following this, several round of PetroCleanze® were applied into the subsurface to cause the temporary desorption of the soil contamination within the smear zone. The MPE system was then used to remove this ‘rebound’ each time. Once no further LNAPL was observed after the PetroCleanze application, ORC Advanced® was applied to enhance the biological degradation of the residual dissolved phase contamination to reach the target values. 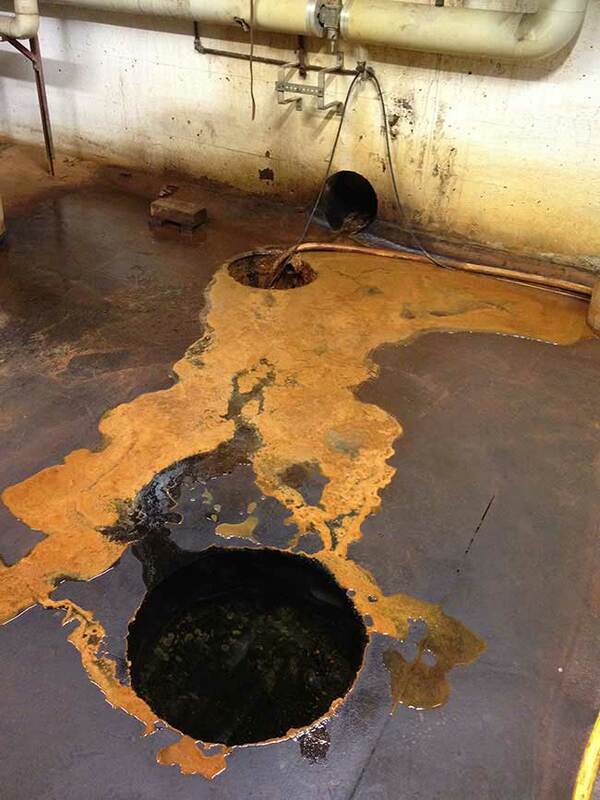 An integrated in situ remediation method allowed for treatment of LNAPL down to low dissolved phase contamination under an industrial unit, avoiding any demolition or excavation. PetroCleanze enhanced the performance of the MPE in order to reduce the asymptote achieved and avoid rebound from residual sorbed contamination. Augmentation of the MPE reduced time onsite and the cost of the remediation programme. ORC Advanced was used once only dissolved phase contamination was observed, maintaining the efficiency of the remedial programme and successfully achieving stringent target values.